As we launch our fifth season (with Cedar Lake, September 28 & 29 at the Playhouse) DanceHouse has a number of events to deepen your knowledge and appreciation of dance. Why not check out one of our events, and learn more? First, it’s an Illustrated History of Contemporary Dance with Amy Bowring, Director of Collections and Research, Dance Collection Danse. (Do click the link for a fascinating interview with Bowring about how she came to dance.) This two-hour talk takes place Tuesday, September 18 2012 2:30 – 4:30 pm, at SFU-Woodward’s, presented by DanceHouse, SFU School for the Contemporary Arts, and CADA-BC. Space is limited–if you’re interested in attending, please let us know by email at info@dancehouse.ca. 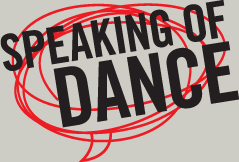 Next, it’s Speaking of Dance, our long-running free series of talks by dance experts, providing insight and intelligence about our upcoming performances. Tuesday, September 25, 7pm join author and dance critic Kaija Pepper for an informative talk about Cedar Lake. Special guest, Benoit-Swan Pouffer, artistic director of Cedar Lake. Speaking of Dance is FREE! and takes place at the Audain Gallery, Goldcorp Centre for the Arts SFU Woodward’s 149 West Hastings Street. No need to RSVP. Why not invest some time to make dance more meaningful for you? Or, if you’ve got a friend who just doesn’t “get” why you love dance, bring them to one of these events. ~ by DanceHouse on September 10, 2012.